Side scan sonars are used for acoustical imaging of seafloor surficial features such as sedimentation patterns and man-made objects (e.g., cables, pipelines and shipwrecks). Meridata offers a selection of side scan sonar systems operating at frequencies between 100 kHz and 1300 kHz, and providing swath coverages of up to 1 km. In combination with our sub-bottom profilers, side scan sonars produce invaluable information for operations such as marine cable and pipeline route surveys, and planning of underwater structures, as well as marine habitat mapping. 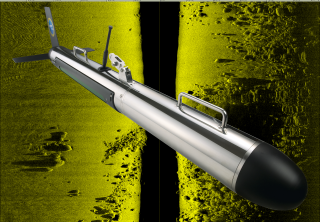 For information on our side scan sonar solutions, contact info@meridata.fi.